Fast, quality service, great prices. Since 1980 we’ve been calibrating test equipment throughout the UK. We’d love the opportunity to show you how good our service is. 2. We’ll call you back with the price. 3. Send us the equipment (we’ll cover the return cost). Do you need your electrical test equipment calibrated? For over 30 years we’ve been calibrating and our clients tell us we’re pretty good at it! We offer a great service and are very keen on price. So give us a try today and let us exceed your expectations. Providing nationwide instrument calibration services for over three decades, most Industrial Calibration staff have decades of experience in servicing and maintaining precision electronics and equipment. 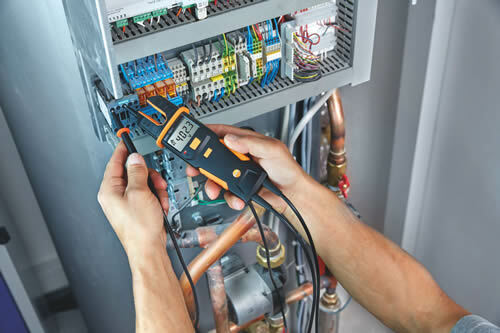 Our static-free labs and precision tools allow us to carry out extensive and fully-authorised repairs, and we're fully endorsed by some of the leading names in measurement systems and technology.